The training is very practical, hands on to give you equal to 3 years of experience. Managers with Multinational experience have designed it. ICIT guarantees 100% interview calls with good companies at successful completion of your training. This is our specialty program that guarantees interview calls with good companies. We start the training from very basic level assuming you don’t have any knowledge or experience in this field and take you the advanced level. After the completion of training we modify your resume and prepare you for interviews. We then help you in find the right job. We target Jobs from entry level to senior level. We have helped more than 600 students in getting the Jobs in reputable companies. We mostly specialize in Accounting, Finance and Analyst jobs. We have trained and placed students with no accounting and finance background. Our Strategic Financial Analyst Training Program (SFA) is a very comprehensive practical hands on training, designed by professional working managers with extensive experience in large multinational organisations. This training aims to provide you equal to three years of work experience in a very short period of time. All this experience you will otherwise get in many years by working in different organisations. You are learning from the experience of the experienced. They know exactly what the requirements of the managers in those companies are, and they train you exactly for those. You work on same software, same templates and same large data files. You get all the skills, tools, knowledge and experience to work at any position from junior to senior level. This is a very effective program and gets you guaranteed interview calls. We have trained and helped in placing many qualified, CPA, CGAs, CMAs, Graduates from Schulich, Western University and UFT. 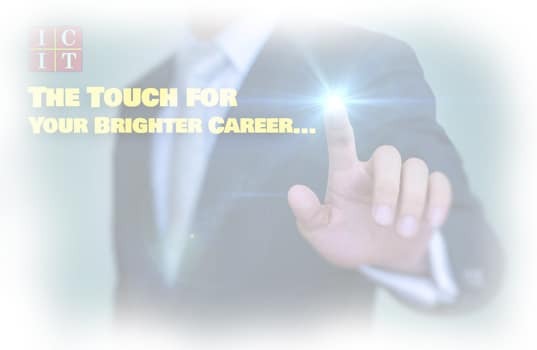 We also have trained and helped in placing non Accounting background candidates as well who are now very well settled. ICIT has trained and helped in placing many Accounting and non Accounting background professionals as Financial Analyst in companies like Bell, Siemens, GE, Deloitte, Lob laws, Canon, Toyota, Bayer, General Mills and many more. The training is very practical, hands on to give you equal to 3 years of experience. Managers with Multinational experience have designed it. ICIT guarantees 100% interview calls with good companies at successful completion of your training. The training covers Excel Modeling, SAP, BI, Month end closing, Reporting, Budgeting and SOX. For detail please contact us. This Program is very effective and result oriented if you fall in anyone of the following categories. This program guarantees interview calls and placement help. Bachelors degree is desirable but not required. Both Accounting and Non Accounting background persons can join this Program. All necessary knowledge and experience in Accounting concepts is included in this Program. We have helped many non Accounting background students in getting the right Jobs in this field. Interview calls are guaranteed after successful completion of this Program. Our SFA Practical training Program is very flexible and can be completed by you at your own convenient schedule as well. Every class is also live web cast. You also get the recording of the same class as soon as it finishes. You can attend classes or join online anywhere in the World. The in-Class training is designed to complete in 13 to 14 weeks. However, you can finish it earlier in one of our fast track options, at your convenience. This is a shortest possible practical training program that can land you in a decent office job. For more information on Fast Track contact us at any of our locations convenient to you. Our SFA Practical training Program is very cost effective. This Program and the placement results can not be matched anywhere else in GTA. Our fees is lowest and is recovered by the students in the very first pay cheque they receive after two weeks in their Jobs. Fees can be paid in one lump-sum to avail discount or in easy convenient installments. Few Scholarships are available to really deserving candidates. The candidate must meet certain strict criteria to be eligible for the scholarship. The Scholarship fund is created by the money donated by ICIT students as a thank you after getting the job. Currently there are 3 scholarships available for deserving candidates. Become ICIT ambassador and take advantage of lucrative referral program for each student you refer to ICIT after he registers for the training program. Excel Advanced skills are assumed in any jobs in Accounting and Finance. 90% of the work is Excel based. You need Advanced Excel modeling skills. Knowing just the tools like vlookup, Pivot, macros is not enough. We start from the very basic level and assume you have no Excel knowledge and take you to advanced modeling skills. You cannot survive in any field until you are expert in the tools required to use at your work. To work as an Analyst or to work in Accounting and Finance field, you need experience in one major ERP. We cover SAP FI & CO modules. Since reports in ERPs are very limited in scope, you need one Reporting tool to modify your data for top management for effective decision making. We cover BI (Business Intelligence), which is a very powerful and most used with SAP. The Training in Excel, SAP & BI gives you the tools that you need to use at your work. You then have to have some experience of using these tools in practical scenario. We provide you practical work experience that makes you perfect fit for any job in this field. We tell you processes, techniques and solution to the issues you might face in real companies. We make you work on real templates used in the offices with large data.